Please join us for the next Sonoma County Winegrape Commission Smart Marketer Seminar on November 13, from 4-6pm at the Wine Country Hilton located at 3555 Round Barn Blvd., Santa Rosa. There is no charge to attend. RSVP by Nov. 10 to https://www.sonomawinegrape.org/smartmarketer. Check-in begins at 3:45pm and the seminar begins promptly at 4:00pm. The special guest speaker will be Lois Lang, Psy.D., author of Pass the Business, Please, a guide to transitioning the family business from one generation to the next. This is a must-hear presentation on increasing the success rate for family-owned companies passing into the next generation. Lang will discuss the most common pitfalls that derail family businesses and offer solid strategies for avoiding them and increasing the odds of building a prosperous family business. Lang talks about the journeys of three real-life family companies with examples of what to do, what not to do and how to correct course midway to ensure your company’s success. 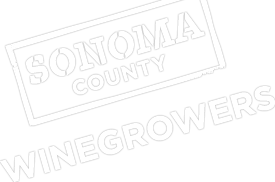 One of these examples is a very successful Sonoma County brand. Also on the agenda will be a 2015 Farm Bill Update by Brooke Cole, USDA Natural Resources Conservation Service. She will explain services and funding now available for growers and landowners through the newly passed Farm Bill. Cost share opportunities for water conservation, including: conversion to micro-irrigation, irrigation evaluations, flow meters, weather stations and soil moisture probes. Requirements for funding explained. Lois Lang, Psy.D. is a partner with the Evolve Partner Group LLC. Lang is a family business expert and has assisted family business transitions by assessing the next generation’s readiness, strengthening the executive team and facilitating tough conversations. Lang occasionally partners at seminars with Michael Saqui of The Saqui Law Group Counselors to Management.